Haarlem and Vijfhuizen are strongly connected geographically, with only a few kilometers of distance between them. Their characters, however, are leagues apart. The provincial capital of Haarlem is marked by a rich history throughout the city—in urban planning, in the experience, and in thought—which is deeply embedded in not only its outward appearance but also its institutional structures. Vijfhuizen—and particularly the fortress island as part of the Defense Line of Amsterdam—certainly has an important history, but as a location it is primarily embedded in the regional geographical structure of the Haarlemmermeer. The municipality is young and “made,” with an organization that is strongly interwoven with traditions in Dutch design and iconic landscapes. In this dialogue, Haarlem stands for building on the past; Vijfhuizen for building the future. This contrast, but also interdependence, is interesting from an artistic point of view and typical of the identity and development of urban areas in the Netherlands. Future past / nature city is an artist-in-residence project in Haarlem and Vijfhuizen for an international artist who will work for a period of two months. The artist will be guided by the art institutions 37PK and Kunstfort at Vijfhuizen during the residence and studio period, working towards a final presentation in the exhibition space of 37PK in Haarlem. There is also the possibility that an additional, small presentation could be realized on the fortress island. The program is a pilot and will take place in 2018; it serves as the beginning of a structured collaboration between the two locations, and therefore also establishes a regional connection between Haarlem as a provincial city and Haarlemmermeer as a growing municipality in the Amsterdam Metropolitan Area. The artist will be housed in the unique natural environment of the Kunstfort at Vijfhuizen and will work twenty minutes away, in the center of historic Haarlem. Both institutions will supervise engagements between the artist and external parties, and assist in discussions regarding content and thinking about the studio practice. The thematic starting point is the genre of science fiction, which is both appropriate to the Kunstfort’s programming and as a metaphorical connection between future and past, originality and artificiality. The artistic basis for Future past / nature city involves the themes of the Kunstfort, brought together under the designation “science fiction.” This will be adapted by 37PK as a collaborative exhibition within its own programming. In this way, subjects that are less evident for the region, yet all the more relevant in the international art discourse, are “physically” embedded in Haarlem. At the same time, the Kunstfort, with its own theme built around the “artificial” region of Haarlemmermeer, will have a satellite in the form of 37PK, where these “futuristic themes” can be explored in a historic environment. In addition, 37PK will provide guidance during the studio period, as well as the embedding and communication in relation to its own program, while Kunstfort will act as the exhibition curator. The artist for Future past / nature city will be selected on the basis of the quality of his/her artistic production, (international) appreciation in the field, and capability to enter into a dialogue with the programmatic themes of Kunstfort and 37PK, respectively. The artist-in-residence will be asked to realize both work and a presentation that consider the subjects as related to but also transcending the region. During the artist’s period of residence, interaction should emerge at different levels: that of his/her own artistic practice, the local art climate, and the organizations involved. The artist is encouraged to actively engage in the city and surroundings, with public moments at various locations, such as presentations, lectures, workshops, and events, in collaboration with local partners. The institutions will supervise the studio practice, as well as acquaint the artist with a number of suitable institutions and colleagues active in the visual arts in the Netherlands. The artist will be aided at his/her studio by regular employees of 37PK. According to a predetermined agenda, meetings with Kunstfort curator Zippora Elders regarding subject matter will also take place. Included in the program are an atelier, sleeping space, kitchen, use of a bicycle, and per diem and fixed amounts for travel and production costs. 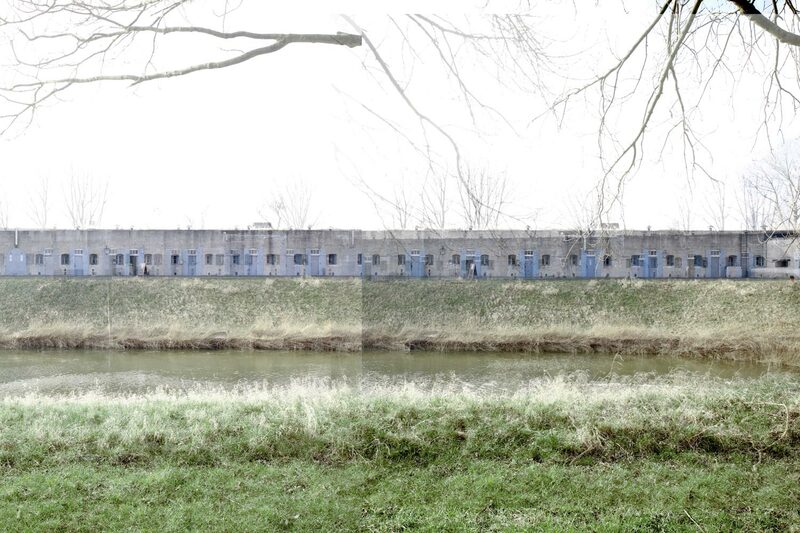 Consideration should be given to the compactness of the fort, where the artist will stay in a historic concrete sleeping area on the rustic fortress island, and where a restaurant and project spaces are active during the day. The residency will take place from mid-July to mid-September, with the exhibition opening on 16 September. Please send a motivation letter comprising a single A4-size page and a curriculum vitae to info@kunstfort.nl, citing “Registration for residency Future fits / nature city.” The deadline is 24 June and the announcement of the selection is 29 June. The artist-in-residence project takes place in the municipality of Haarlem and in Vijfhuizen, municipality of Haarlemmermeer. Studio work will take place in a centrally located space in Haarlem, living will be in special guest accommodations in Vijfhuizen, and an exhibition presentation will take place at 37PK. During the working period, 37PK will introduce the artist to other Haarlem institutions, such as Nieuwe Vide and the Frans Hals Museum, and colleagues in Haarlem, while Kunstfort will provide the residency with a regional network in Amsterdam/Utrecht/The Hague. The guest atelier of 37PK, located in the center of Haarlem, seems first and foremost to provide an opportunity for the artist to be able to work in a pleasant studio with the support needed to work towards a presentation, but its function is decidedly twofold: it also functions as an enrichment of Haarlem’s cultural climate. During the intensive periods of work, artists enter into all sorts of contacts with other institutions and artists. We have ascertained that a number of these contacts can be lasting, even if the guest artists return to their hometown. The guest atelier contributes to the more open character for which the field of the visual arts in Haarlem has become increasingly known in recent years. Thus far the studio has accommodated seven artists: Rob Bouwman, Ro Hagers, Eric Martijn, Jikke van Loon, Eva Pel and Boris de Beijer, Jorrit Paaijmans, and (currently) Anami Schrijvers. Within the complex at Kunstfort at Vijfhuizen are several rooms and workshops where local creatives have their permanent workspaces. In addition there are three studios for guest artists, along with a kitchen. Exhibiting artists also stay there during the installation period. The fortress island of Vijfhuizen has been a destination for art since 2005, an extraordinary place where the visual arts and military heritage come together. The exhibitions reflect the fort’s surroundings: a collage of artificial landscapes in which nature is utilized for various—now often obsolete—purposes. The Kunstfort is a place where space, time, and image intermesh. The programming is inspired by science fiction—artists create alternative realities and question existing systems. Recurring themes are climate and landscape, border politics and defense models, technology and ritual, and dystopia and apocalypse. This is presented in exhibitions, interventions in outdoor spaces, and multidisciplinary exchanges. This project is supported by the Municipality of Haarlem, the Municipality of Haarlemmermeer and the Mondriaan Foundation.